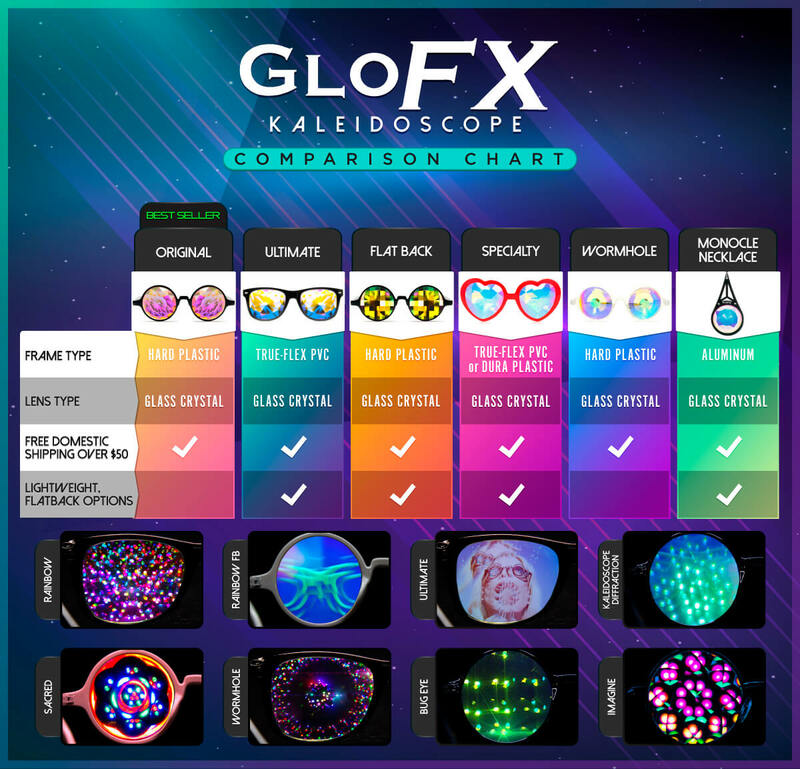 GloFX has once again redefined what festival attendees expect from their rave eyewear. Our Transparent Pink Kaleidoscope Glasses with Magenta and Sapphire Kaleidoscopic Lenses mash-up features of both the most elegant and the most extreme, resulting in an all-new light show experience that says “I like to party, but I look amazing while doing it!”. Transparent Pink Glasses with Magenta and Sapphire Lenses utilize the highest-quality real glass crystals available, and have a transparent frame designed exclusively by GloFX. Nothing else comes close to the originality of this lens and frame combination. These lenses are set in an exclusive pink transparent frame and each pair comes with a free microfiber cleaning case. As with all of our products, Transparent Pink Kaleidoscope Glasses with Magenta and Sapphire Kaleidoscopic Lenses are painstakingly made by hand, assuring that each pair of glasses is of the highest quality. 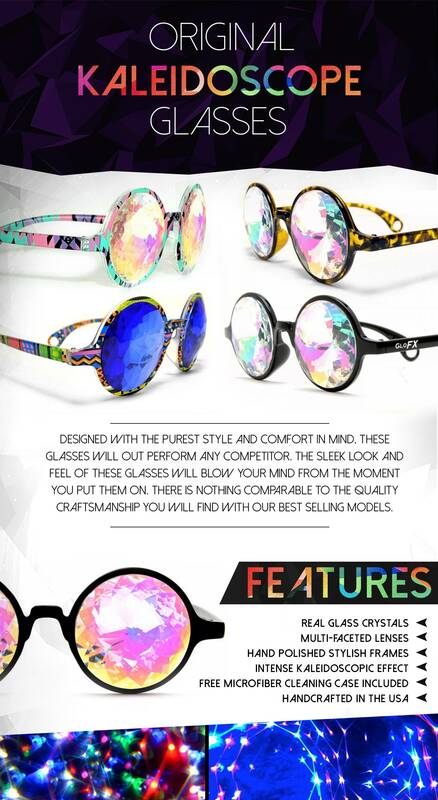 These glasses trip me out just looking at them, but they are AMAZING! I LOVE THEM!